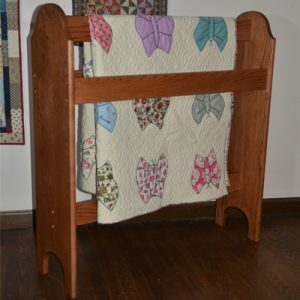 The Traditional Quilt Display was added to the display series to complement the traditional furniture design popular in today’s décor. 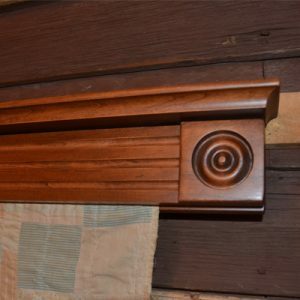 The beaded edges have been replaced with three rows of flutes are milled between two rosettes. This technique gives the display its traditional look. 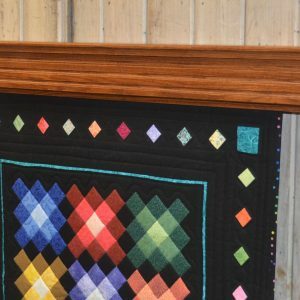 To accent the fluted rows, the exposed knobs have been removed from this display.Stainless steel screws are used to maintain the pressure needed to gently hold your quilt in the display. 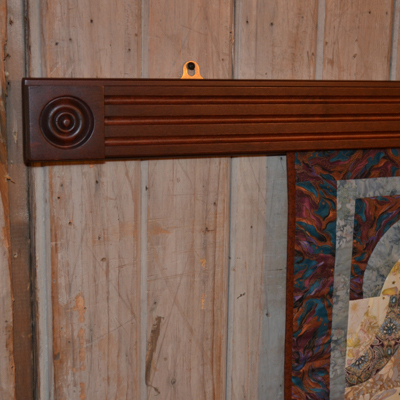 These screws are inserted and tightened from the wall side of the mounting boards into threaded brass inserts. 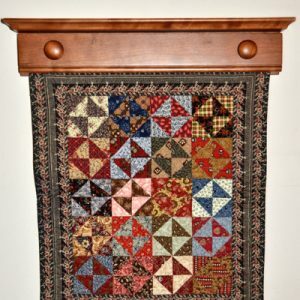 The Traditional Quilt Display is a wonderful addition to any traditional home décor. If you agree, please review the table below for pricing options.